I did my taxes this weekend. I also made daiquiris. The two pretty much go hand in hand in my home. I mean, If I did my taxes sober I would get really, really sad and then want a drink to make the sadness go away. But if I have daiquiris WHILE I do my taxes I pretty much skip the sad part. It might not be the best way to approach a financial task but it works for me. Except for when I refinanced my mortgage last year, or as I like to call it, the great blackout of 2012. Thankfully I had a few mangos on hand. 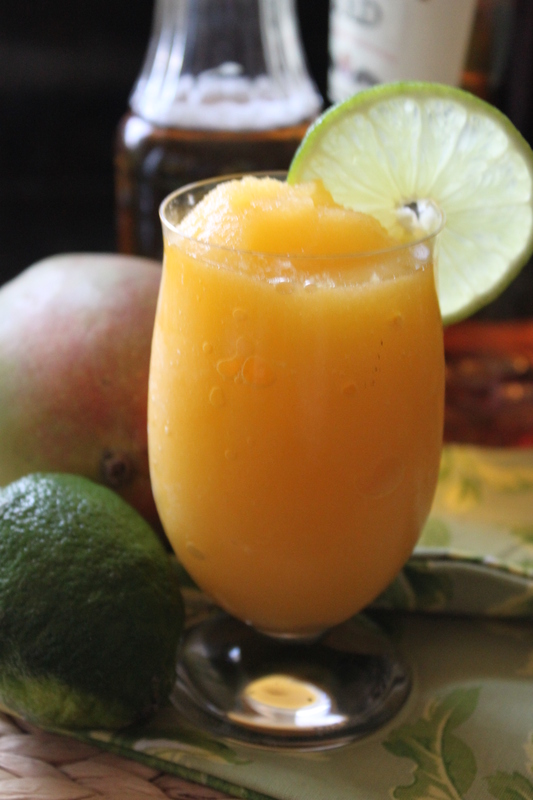 Mangoes can be pricey so when they are in season I’ll buy several at a time, cut them up and freeze them. And thankfully for me and my taxes, Mangoes are in season. Combine all ingredients in a blender. First, blend contents and then scrape down the sides of the blender. Next, blend again and scrape down the sides of the blender. Finally, blend until smooth. Cheers!